If you're shopping for a media-streaming box for your living room, you should include a Chromebox on your list of contenders in addition to the usual suspects (Roku, Apple TV, Amazon Fire TV, et al). 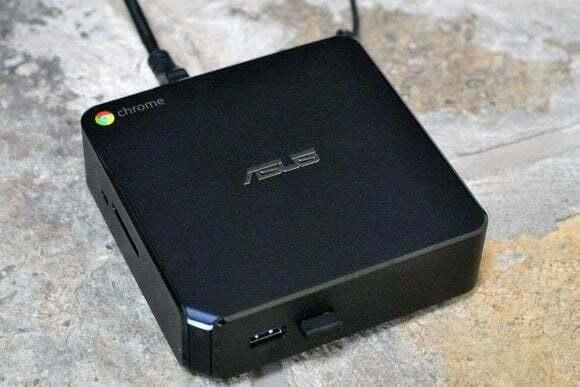 A Chromebox is a small desktop computer that runs Google's Chrome operating system, and you can use one to access virtually any streaming video service available on the web. They're considerably more flexible than those sub-$100 set-top boxes, but they can't do as much as a Windows-based media PC. On the other hand, they're free from security and update hassles and they're a whole lot cheaper. You can usually find models from HP and Asus on sale for less than their $180 list prices. Chromeboxes practically beg to have their HDMI ports connected to televisions, so I asked Asus to loan me one for testing. (The company sent a much pricier Intel Core i3 model, but the cheaper Celeron-based Chromeboxes should suffice for basic media streaming.) The Chromebox quickly became a powerful tool in my media-streaming arsenal, going places that other set-top boxes can't. But it took some work to whip it into TV-friendly shape. Here's what I did. Setting up a Chromebox is easy if you already have a Google account and use the Chrome browser on other devices. Just plug in your username and password, and the Chromebox syncs all your bookmarks and apps automatically. You could even use another computer to assemble a list of bookmarked streaming sites. After setup, I ran into a problem that I'd fully expected: My Sharp TV was cropping out the edges of the desktop, so I could barely see the row of icons on the bottom of the screen. A lot of TVs do this for any device you plug in, but most set-top boxes and consoles build an alignment tool into the setup process. 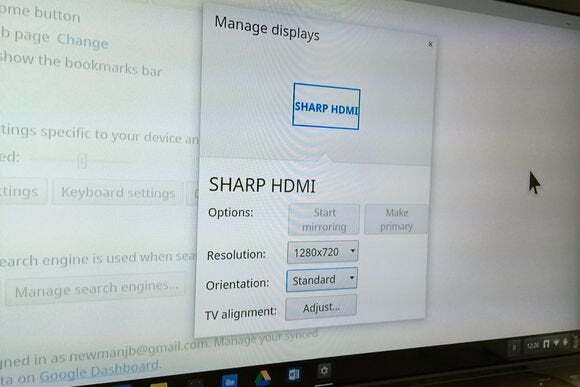 Fortunately, Chrome OS hides a similar “TV alignment” tool under Settings > Device > Display settings, letting me shrink the screen down to size. Scaling the Chromebox's resolution back to 720 was a necessary sacrifice to make icons and menu options legible. After aligning the display, the layout still needed improvement. Looking at my 40-inch TV from about 12 feet away, all the screen elements—from the the icons and the address bar to the actual Web pages—looked puny. That's because the OS is primarily designed for desktop, not living-room, use. So I went back to the settings menu to consider my options. Chrome includes two simple ways to scale web content: You can change the size of text alone, or you can set a higher default zoom level so everything looks larger. But these settings don't affect the size of the icons in apps, bookmarks, or the address bar, all of which was too small for my liking. The only solution was a compromise: I went into the display settings menu, and reduced the screen resolution to 720p. This increased the size of icons and the address bar, and allowed me to keep page zoom at 100 percent at the expense of video quality. I also increased font size to “Very Large” and enabled “Show large mouse cursor” in the accessibility settings. Once everything was set up, the first thing I did was visit Hulu.com. While most set-top boxes require an $8 per month Hulu Plus subscription to watch full episodes, Hulu's desktop website includes full episodes of many recent TV shows for free. For Hulu subscribers, this alone could justify the price of a Chromebox. You could ditch your subscription and have the hardware pay for itself after a couple of years. My payoff came last weekend, when I had family in town who wanted to watch the Michigan-Maryland football game. I don't have cable, but my parents had their Verizon FiOS login credentials handy for watching through the Big Ten Network's website. This would have been a problem with a set-top box. Big Ten has apps for iOS and Android, but it doesn't support TV boxes such as Roku, or game consoles such as the Xbox One. Chromecast screen mirroring or Apple TV AirPlay are options, but they're not ideal as they require a phone, tablet, or computer dedicated to the task. In cases like this, the Chromebox's web browser serves as a great equalizer. While the list of supported apps can vary with any given set-top box, virtually every streaming-video service that has an app also exists on the web. (Another favorite example of mine: Food Network only has an Android TV app right now, but offers dozens of full episodes on its Website.) The main exception is iTunes, but you can easily buy or rent videos from Amazon or Google Play instead. A Chromebox is the cheapest, simplest way to access those streaming sites and services. A Chromebox may seem like a streaming video utopia once it’s all set up, but it’s not perfect. The Chrome OS operating system has some limitations, and using a system that’s not optimized for televisions can be vexing. The biggest problem is that Chrome OS is a mouse and keyboard interface, which isn’t conducive to lounging on the couch. 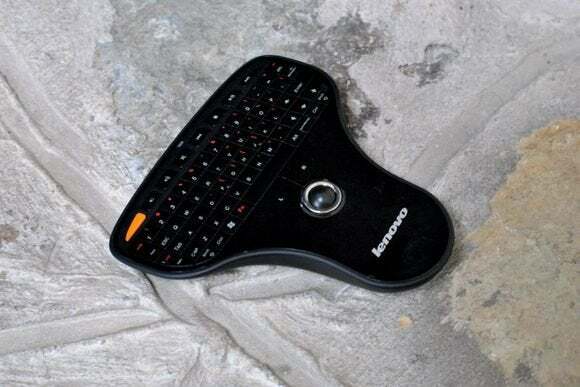 Acompact keyboard/trackpad combo or a full keyboard with a built-in trackpad are decent workarounds but expect to spend anywhere from $30 to $100 on these options. While Windows offers several free programs that let you use a smartphone or tablet as remote control, that’s not an option with Chrome OS. Chromeboxes are cheap, but you'll want to spend extra on a couch-centric keyboard/mouse combo. Speaking of Windows, a full-blown PC offers a lot more power. For under $500, you can build your own box with plenty of storage, a DVD drive and a TV tuner. You can also use programs like XMBC to make the system more TV-friendly, and install whatever codecs you need to play music and video in any format. While Chromeboxes can play certain file types, and can use services like Plex to stream video from a networked computer, they’re not really meant for watching a huge collection of downloaded videos. The flip side is that Windows machines have a lot more overhead. Most of the hardware options are larger and more expensive, you’ll be occasionally slowed down by mandatory software updates and pestered by unwanted notifications. And even if a Windows box lets you do more, getting everything set up can feel like more trouble than it’s worth when you’re just trying to watch some Netflix or Hulu. Chromeboxes strike a happy medium between Windows-based home theater PCs and smaller streaming media devices. You get the freedom of the full Web that devices like Roku and Apple TV can’t match, without the costs (financial and otherwise) of Windows. The living room Chromebox isn’t for everyone, as it requires some tweaking, but it rewards patient cord-cutters with a wealth of Web-based video options.